Our family is a little bit odd. We grill all year round — it's healthy, gives great flavor to meat, & is so easy — so to say "summer is for grilling, isn't exactly a true statement at our house. However, there are some things about summer grilling that are different than the rest of the year. Namely: Corn on the cob. Come summer, we eat a lot of corn on the cob. I love everything about corn on the cob. 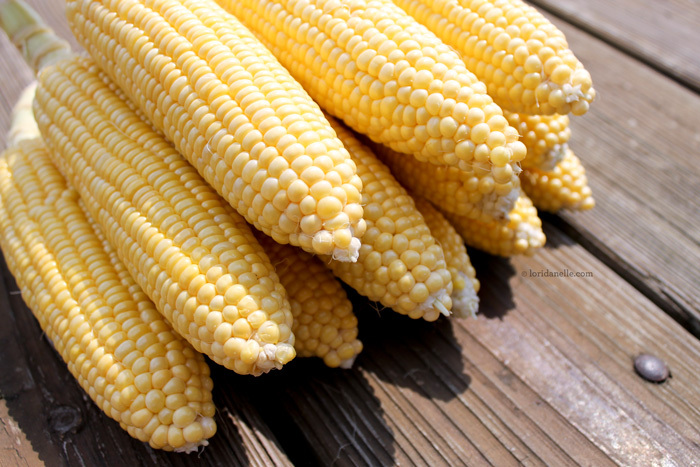 There's something about shucking corn that just makes me happy. And I love it when the corn gets just a tad charred when cooked on the grill. That's when it's perfect. Top it off with some butter and I'm in heaven. But you know what makes Corn on the Cob to die for? 1/2 cup salter butter, at room temperature 1 Tablespoon pure chipotle powder Juice of 1/2 lemon Mix the chipotle powder & the lemon juice in a bowl. Add in the butter & mix with a fork. That's it. Seriously. Pull this recipe out at your next BBQ, slather the chipotle butter on your corn & I promise everyone will think you hung the moon. It's that good. Newer PostBuying Fabric is Scary! !